Our Reality Show Pond Stars on Nat Geo Wild lasted one season. That’s the case for 83% of Reality Shows. Only 17% of shows that debut on network TV make it to a second season. I have no idea what % of shows stay on TV for 15 Seasons but you could bet it’s closer to the low single digits! So why the hate for TANKED?! In a nutshell the same reason most HATE exist in our world…their success! NEWSFLASH: Someone else’s success doesn’t detract for your opportunity for success nor does it shine a spotlight on your own perceived shortcomings unless YOU choose to make it so!!! 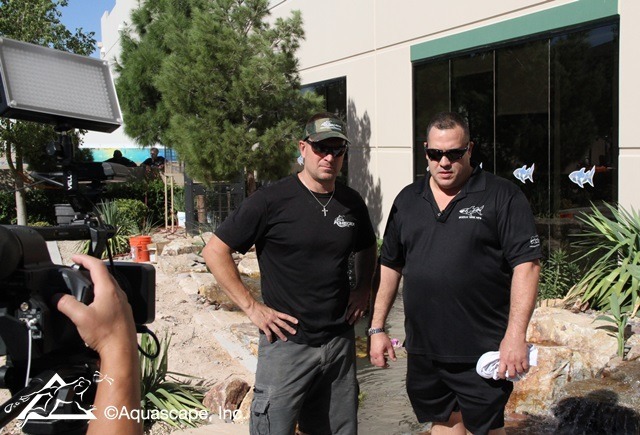 I befriended the cast at TANKED while filming our show. They were gracious with their time and advice. As their shows success and influence grew so did their detractors. Understanding now how cold and ruthless Hollywood is (a story for another day) I realized how much of the criticism directed their way was completely out of their control. It’s simply the nature of the beast and a byproduct of the scripting of the Executive Producer, Show Runner, Production Company and a mysterious Network Executive who stays hidden behind a current in OZ! I learned this lesson the hard way being handed a script everyday with lines to read on “our reality” show. I’m sad that TANKED won’t be around for a 16th season but far more amazed they made it for 15! What an incredible run!!! …but than again I also never associated their success with my lack there of! Newer Post How the Real World Works Older Post Are You a Giver or Taker?